I grew up working on VWs in the 90’s. At the time it was cheap transportation that didn’t cost an arm and a leg to keep running. My first car was a 71 squareback. In addition to the squareback I’ve owned a 72 Ghia, a 62 Beetle, a 67 Beetle then finally a 66 15 Window Deluxe Microbus. I sold the bus many years ago shortly after my kids were born and the project became bigger than I had time to deal with. Fast forward to recent years, My interest in VWs never passed and I finally found some funds to get back into the hobby. I found this 67 in 2012. The 67 Beetle was always my favorite, for many of the same reasons the visitors of this site have. 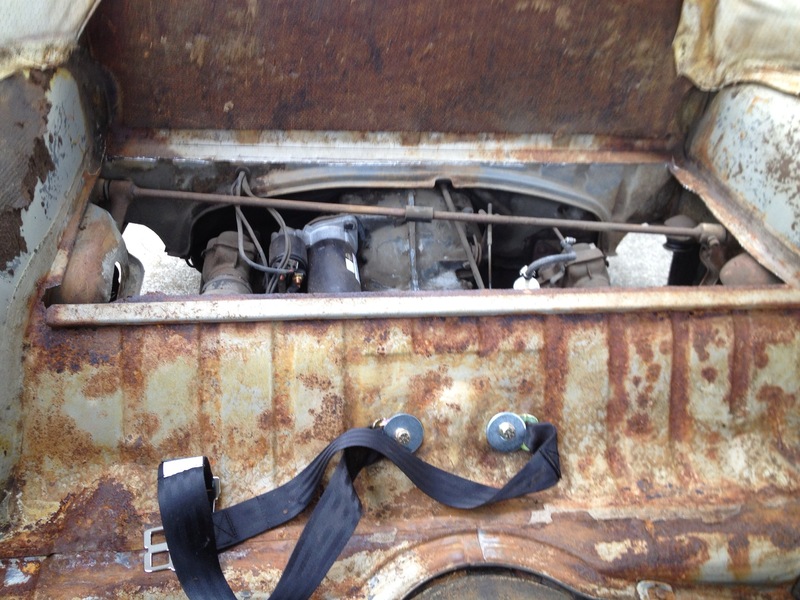 My search criteria was simple, stock and unmolested, rust free. 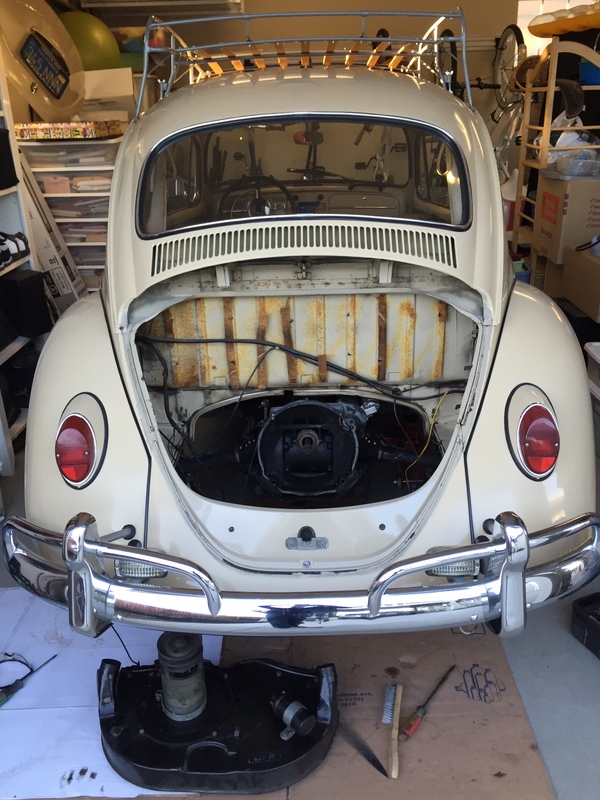 I went to inspect the Bug at night which caused me to overlook the pretty significant rust damage (you can see the work I had to do in the photos). In the end, I found a 1 owner car which was very original. The car came with the original service record book which showed it was purchased at VW Moore – Rountrer in Memphis, TN, then later travelled to N. CA in 1976. The last dealer service record was on 3/2/78 at 84,009 miles. I purchased the car from the 2nd owner that had had it only a few months before deciding to sell it. The story he gave me was that the original owner was the husband of a personal friend. When her husband died she let it sit under a tarp outside for many years before he approached her to purchase it. 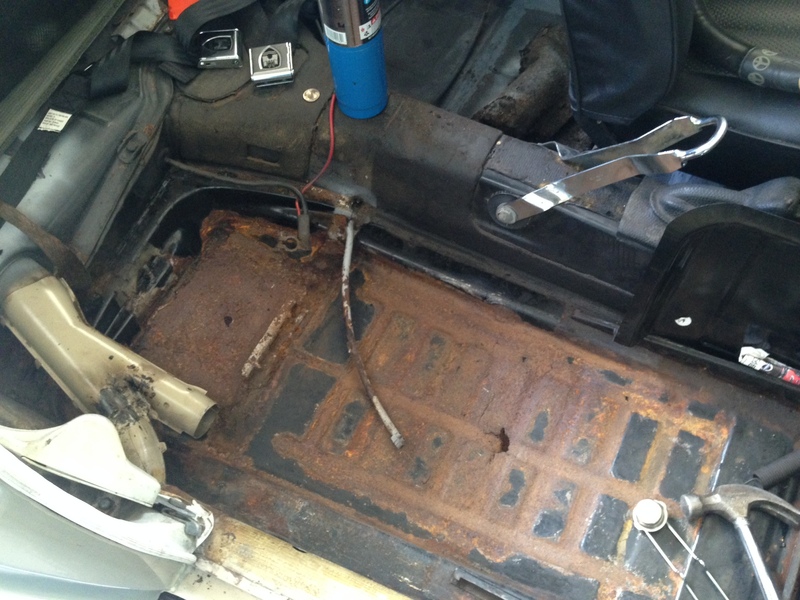 When he took ownership he changed the oil, put in a new starter and that was about it. It was never registered in the second owners name (which is a whole different story and challenge when it came to registering it in my name). When I got it and started digging into it I realized that it needed quite a bit of work to get it driving shape. 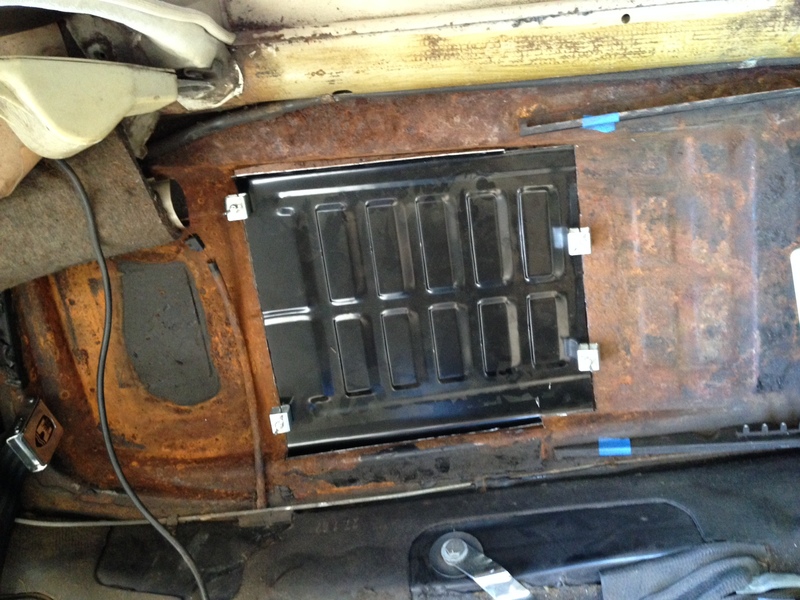 The biggest issue being the significant rust damage to the rear parcel tray and floor pans behind the front seats. I never had the intentions for a pan off, just a very nice, reliable, weekend cruiser. The paint is a re spray that has faded over time (originally yellow but now faded to a color that closely resembles the original L620 Savanna Beige). There are a few minor bumps and bruises but it buffed out nicely and I have no immediate plans for bodywork. Aside from that the list of work is significant, and all with the intention to keep it as original as possible. In addition to the rust repair i mentioned, all seals have been replaced, new rebuilt 1600cc long block, original tin was powder coated, original manifold was refurbished and reinstalled, new clutch, Trans boots and gear oil change, original air cleaner, distributor, generator, thermostat, etc. 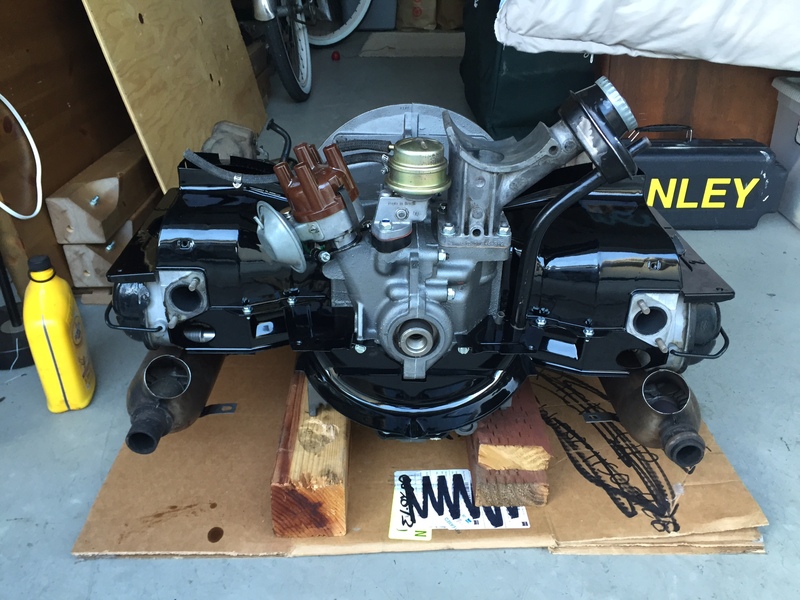 The carb and fuel pump are on the way from Lane Russell. The suspension was redone with shocks and z-bar kit from Wolfsburg West. All of the rubber brake lines were replaced, as was the master cylinder. Rebuilt speedo courtesy of a fellow Samba member. 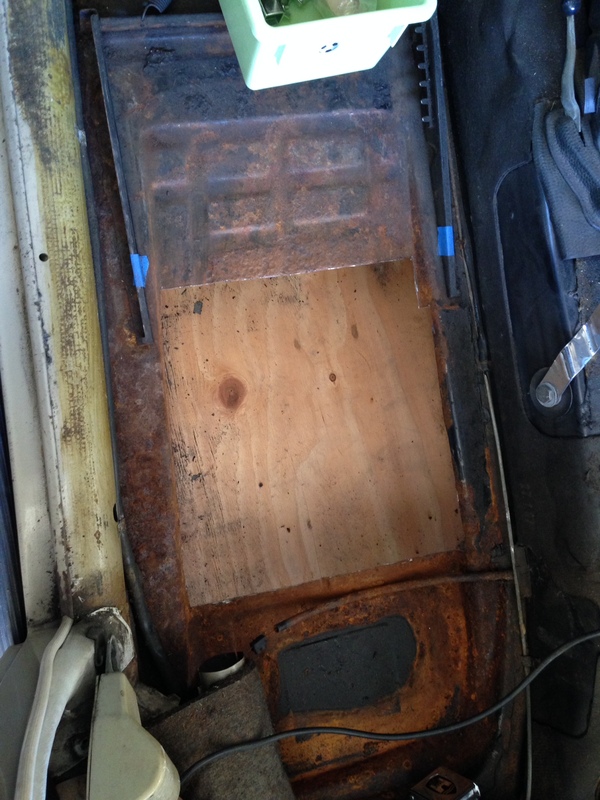 I rebuilt the sunroof and it works great, leak free. It’s still a work in progress, and will never be fully complete. Currently I’m in the process of finishing up the interior. Carpets are done with new seat covers and door panels planned. 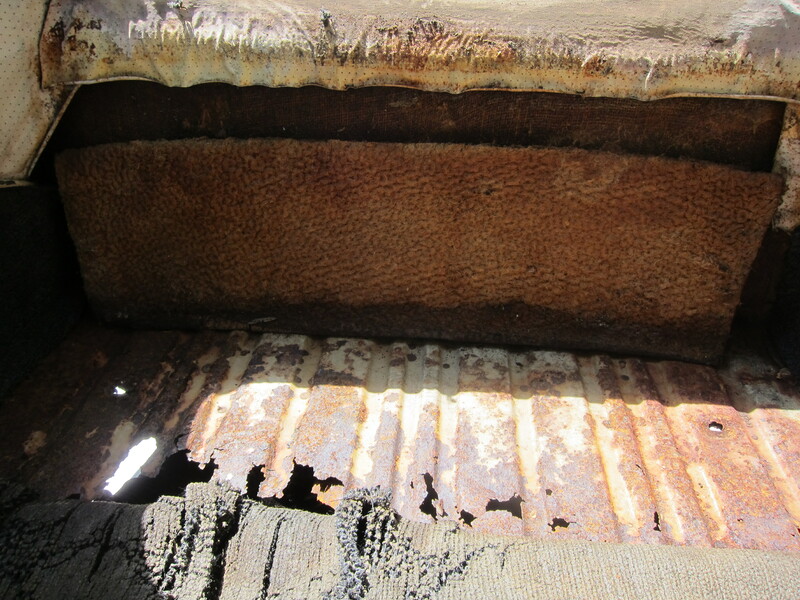 The headliner is original, no tears but slighly stained which adds character. It’s definitely not a show car, but its the nicest classic VW I’ve ever owned. It truly runs just as good as it did back in 1967 and looks better than it did in 1980, I’m sure. 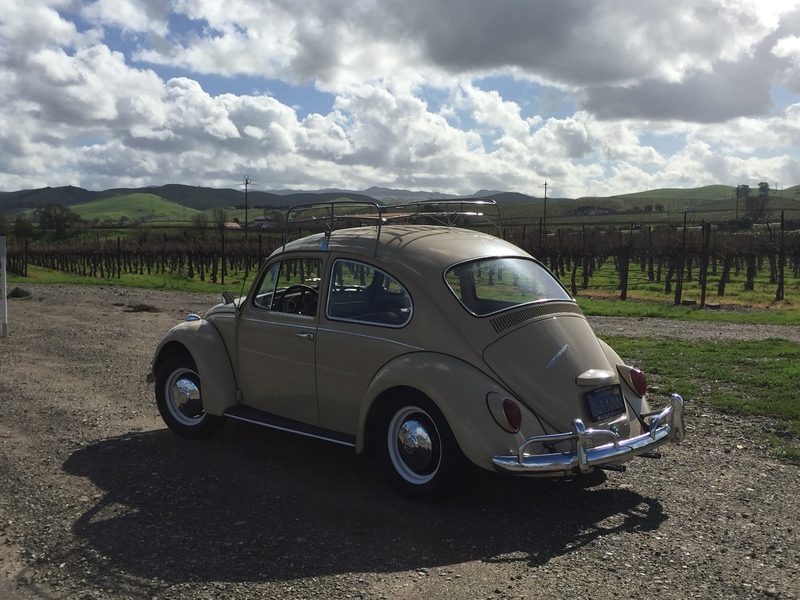 Thanks, Kevin, for sharing your ’67 with 1967beetle.com. I like a happy ending. Passion is needed when bitten by the ” 67′ Beetle Bug”. It pumps through all of our masochistic, original part hunting hearts. I’m often asked “why not a 61′-65′ easy parts to find, lots of German parts?” I answer too easy. This is my Taj Mahal, my great wall of china, my one man pyramid. When it is done. 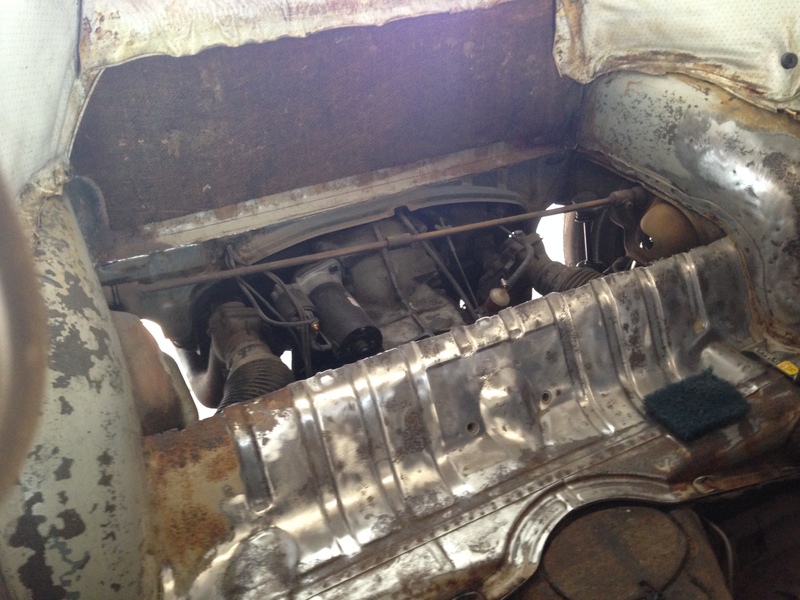 A true 67′ head or restorer will be in AWE of what I have done. Then I will rest…..and it will good. Thanks for giving me the opportunity to share my 67. Kevin, what a story! Great job!